Forging a Special Operations Force: The U.S. Army Rangers details the origins and development, combat philosophy, and key engagements of America's elite fighting force. 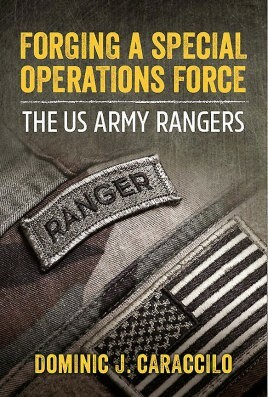 Structured topically, the book gives a chronological review of the history of the Ranger from the 17th century to the present day, with special attention paid to the establishment of the 1st Ranger Battalion in the post-Vietnam era—the origins of the elite fighting force that exists today. 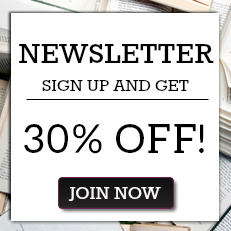 Authored by a lifetime soldier who served in combat with the 75th Ranger Regiment, this book is replete with information garnered from dozens of interviews with the individuals who created the initial Ranger Force. By integrating the words and firsthand accounts of these founding fathers, the work offers insights unavailable elsewhere. Additionally, the author delves into the unique psyche of the soldiers who volunteer for—and are accepted into the ranks of—the ‘Rangers'. In today's U.S. Army, the 75th Ranger Regiment serves as the connectivity between the Army's conventional and special operational forces. Based on their esprit de corps and their capability to fight and win anytime, anywhere, and against any enemy, Army Rangers have participated in every military conflict since their inception as a permanent force in 1974. After reading Dominic Caraccilo's Forging a Special Operations Force, you understand why. This book illustrates the genesis of the first Ranger Battalion formed since WWII and how the original 600 Rangers established such incredibly high standards at a time when the Army was at its nadir. More importantly, it describes the impact these men had on sowing the seeds of professionalism throughout the Army upon leaving their Ranger unit. This book is the true history of the creation of the Modern day Rangers. It clearly explains how we, the United States, got to the point we could successfully mount the Bin Laden raid. It is all about the Resurrection of the Army, the people who led that effort and techniques they developed to make the term "Ranger” a universally understood word for The Very Best and why Rangers Lead The Way! Dom Caraccilo does a commendable job in blending an historical account of the formation, training, and development of the Rangers into an integral part of the US Army that has a much greater impact than its size would indicate. In keeping with the Abrams Charter, Ranger qualified commissioned and noncommissioned officers are assigned to key positions throughout the Army setting the example, leading the way, and strengthening each unit to which assigned. This book explains how and why. An extremely well-written "must read” for those who want to truly understand the genesis of the Special Operations capabilities our military has today. Forging a Special Operation Force: The US Army Rangers, a book I wish I had written. Authored by COL (Ret) Dominic Caraccilo, a Ranger who has ‘walked the talk,' this work captures the essence of how history's premier light infantry fighting force evolved from the shards of the Vietnam era to inculcate a new warrior spirit within the United States Army. More importantly, Caraccilo conveys why the Ranger Creed and ethos has become and must continue to be the firm foundation of the Army's continued successes on the field of battle.